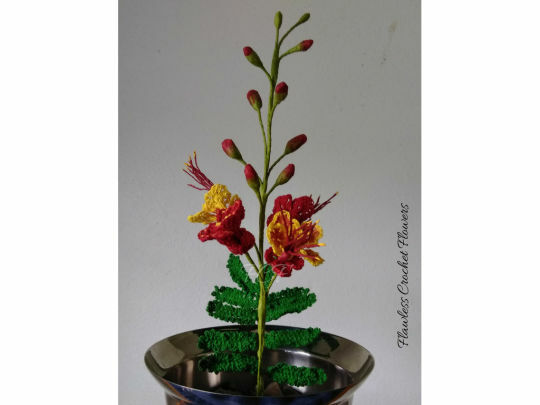 Introducing the beautiful Pride of Barbados, Dwarf Poinciana Peacock Flower. Such a beauty and so much fun to create. Stands 15” tall, but can be as tall as you’d like. The Pride-Of-Barbados has long been a favorite among the tropical flowers with its beautiful and vibrant colors. You can create these in 3 lovely colors: Red, Pink, and there’s also yellow!